Oh Dog! DeDe here! A Happy St Paddy’s Day to you all! 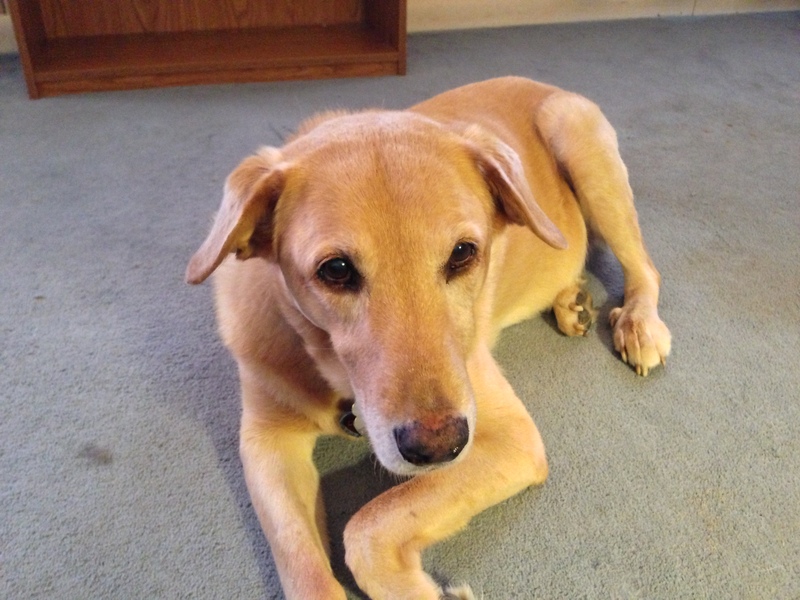 First off, I want to thank everyone who voted for Rumpy in the World Spay Day Pet Pageant! We thought he was going to end up in 9th place, but were shocked that he was 4th place! That is amazing! And it’s all because of you!!! You rock!!! I’d like to ask you, if you haven’t already done so, to check out our three part series on the plight of tigers in captivity. While we focused on tigers in the US, similar things are happening around the world. For example, there are tiger farms in China that raise tigers for the sole purpose of using their bodies for medicines and such. And Africa has many people exploiting the animals to get money from tourists. and if He doesn’t turn their hearts, may he turn their ankles so we’ll know them by their limping. June Buggie! Is that you???? « Stop the Exploitation of Tigers! TOP “O the Mornin’ to you! Happy St.Patrick’s Day! CONGRATULATIONS! Happy St. Patrick’s Day! Top O the morning to you too pal – O’Rumpy! Couldn’t resist that bad joke. The plight of the tiger is horrible and we had no idea a lot of that was going on. You are so kind to report serious issues like that. Congrats on your 4th place showing in World Spay Day, Rumpy! Great job on the series of posts about the big cats. It was really upsetting and fascinating to read. June Buggie looks sooooo cool with the costume! He is adorable! Thank you very much for the three part series on your blog, which is seriously important subjects to all humans. 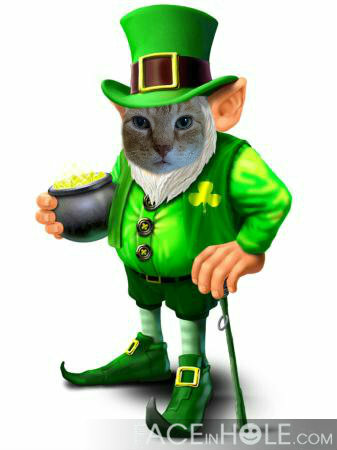 I love your Irish blessing. Happy St. Patrick’s Day to you, too. I’m glad you did so well in the World Spay Day Pet Pageant! I was shocked! But the prize for getting the word out about the importance of spay/ neuter goes to all of us! Yay! Thanks for all you and the gang do, Rumpy. Tigers – and other species – humans can do better. Maybe watch where your money goes and spend it accordingly? It’s hard to do. Who do we trust? What can we afford? Can I truly make a difference? I want people to know that yes, they can, and here’s how. Cute Irish Blessing! lol Happy St. Paddy’s Day to you! You are so funny! Congratulations on 4th place, Rumpy! That’s quite the little poem LOL. What an awesome Leprechaun! 4th, but really first for all so many reasons sweet Rumpy!!! Thanks for your votes and your support Marina! …for you, Rumpy, ANYTIME and with great pleasure!!! Happy St. Pat’s Day! Woo, so glad Rumpy came in fourth, but in our Sibe opinion, he should have been first! In the end, it doesn’t matter who wears the crown. It’s all about the message. Congrats Rumpy. You have a lot of friends out there. We’re so glad we came by. We just read your series on the plight of the tigers…it was SO well done. Thank you for sharing this with us. Katie, Glogirly and Waffles ‘O Too. Thanks guys! woo woo woo! Thanks Austin! and thanks for your support! Happy St. Patrick’s Day! And congrats on your 4th place! 4th place is great! Congratulations, Rumpy! Congrats Rumpy! That’s Paw-Some about Fourth Place. Happy St. Patrick’s Day guys! June Buggie looks great as a leprechaun 🙂 And congrats on 4th place – quite an achievement. Congrats on you finish, that is awesome. 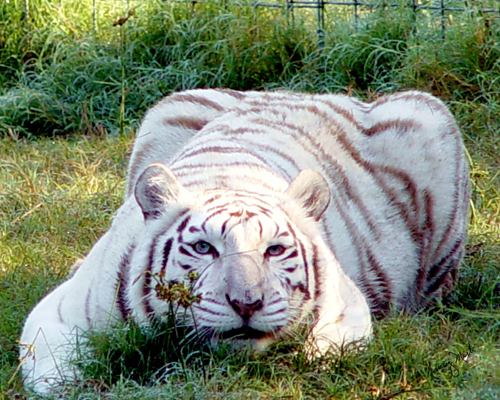 Why breed tigers in Africa when they are indigenous to Asia? That doesn’t sound right. Sadly it isn’t just the tigers. Horrific things are happening to so many animals, it’s hard for me to focus on just one. how can we change it and make this world a better place for all animals? JB looks good in a beard!